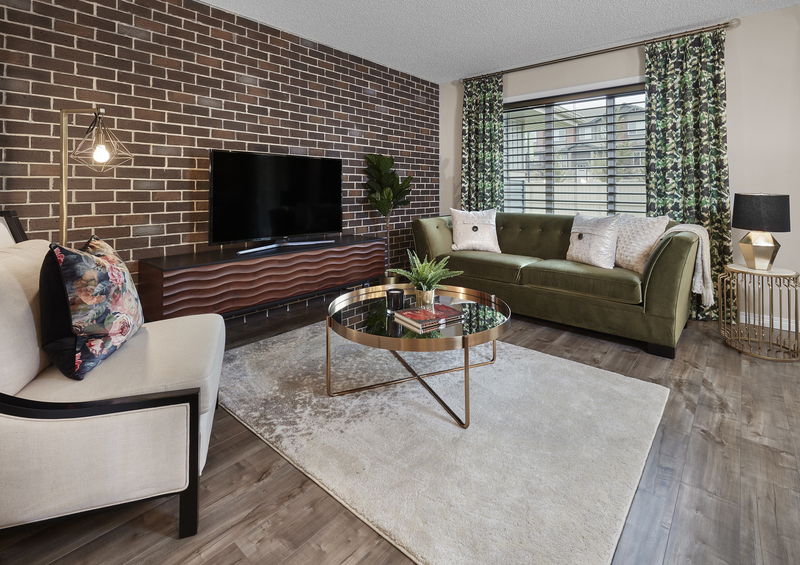 Add personality (and vintage charm) with a faux brick feature wall. 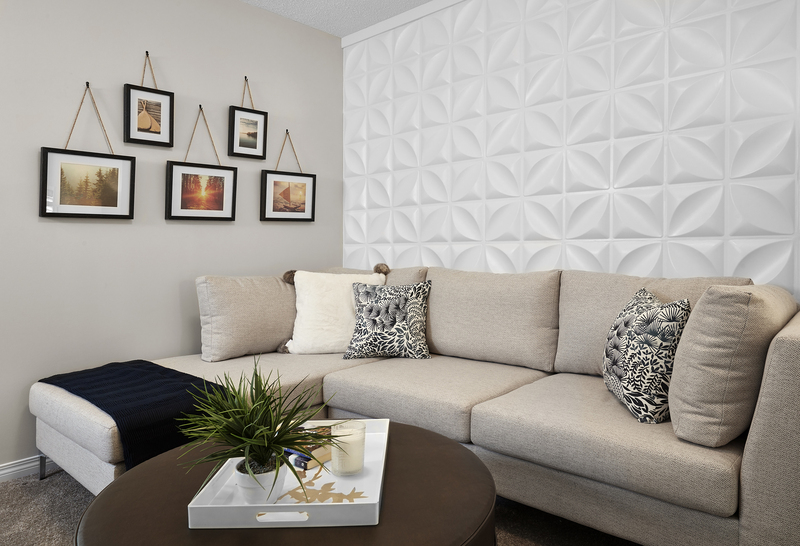 Feature walls help your home stand out and speak to your personality. 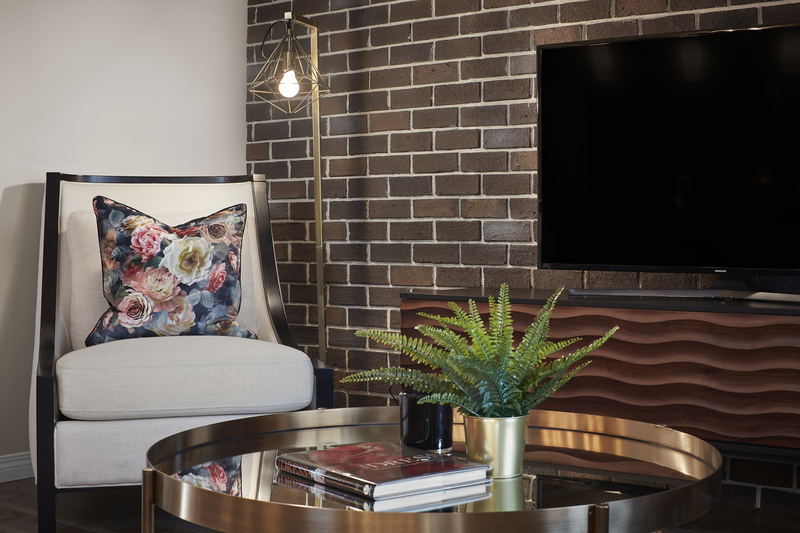 For this project we worked with Luxe Design to find dynamic ways to accent the walls in our former Alma duplex show home. 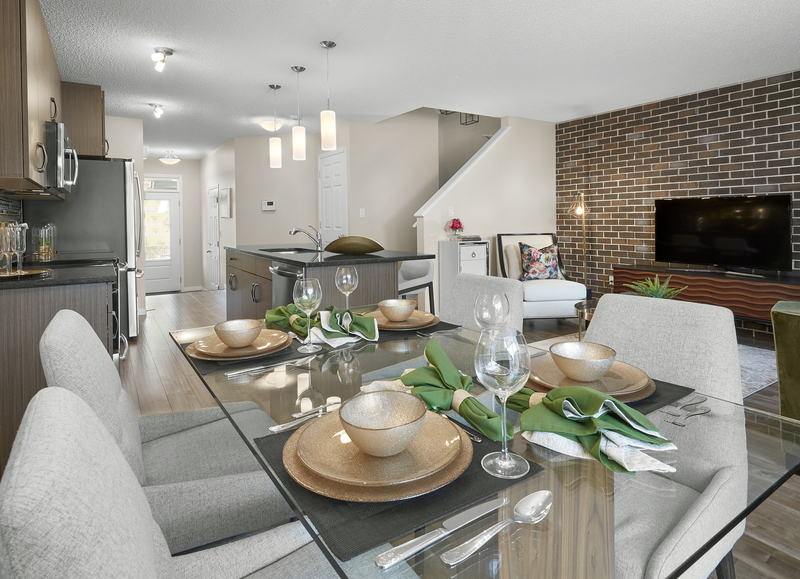 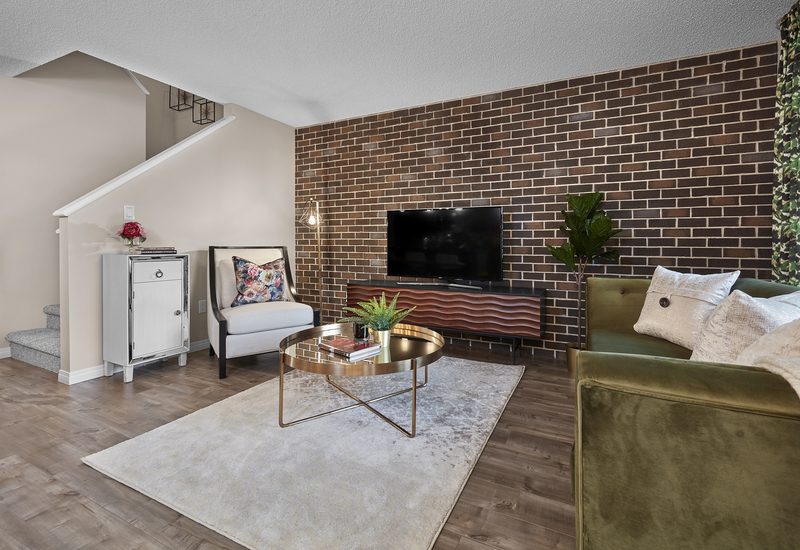 Using faux brick panels from Everything Exterior, we transformed a boring grey wall into a gorgeous feature that gives the main floor a trendy mid-century modern vibe. 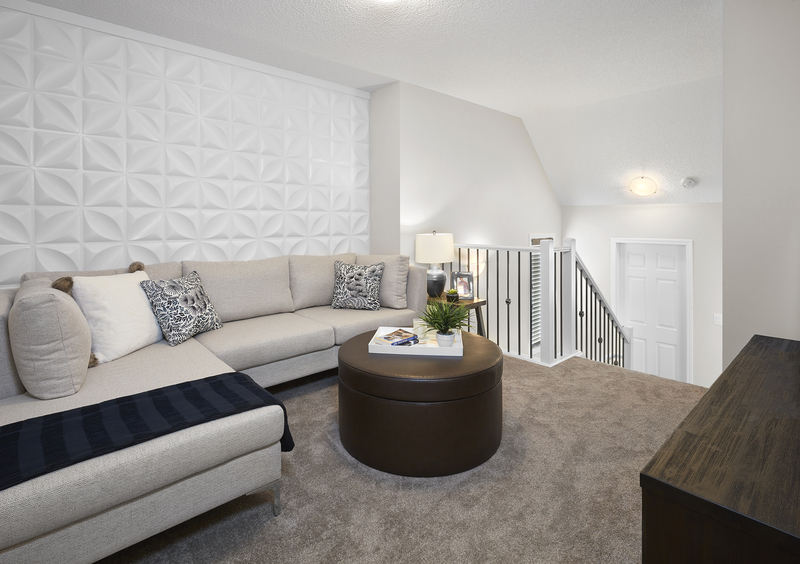 We also transformed the upstairs bonus room of our former Allegro duplex just next door using white textured wall flats (see images above) to give the wall a 3D textured look. 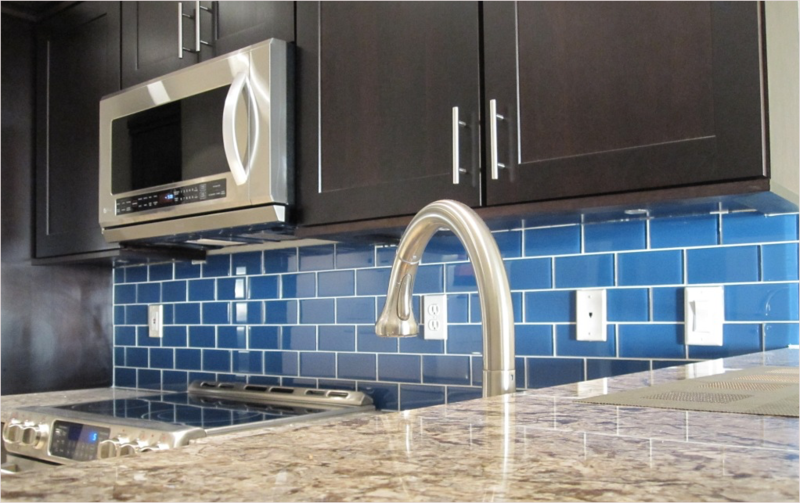 Material for both walls can be found at Everything Exterior.